Javed Akhtar said: "Amrish Puri will be remembered as a great actor"
Ahead of the 14th death anniversary of late legendary actor Amrish Puri, veteran lyricist and screenwriter Javed Akhtar remembered him saying he was a combination of "a great actor and great human being." 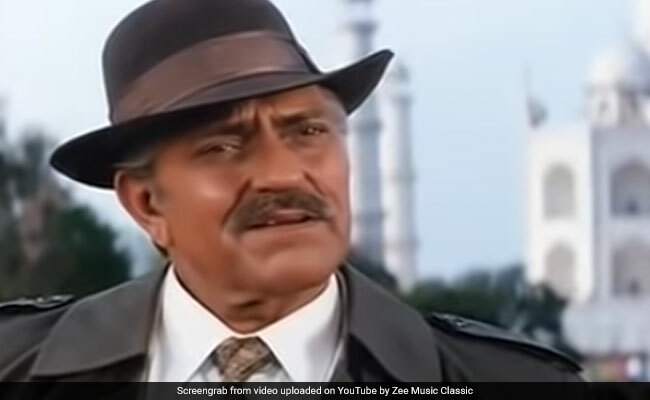 In the forthcoming episode of Zee Bollywood's "Classic Legends Season 5", Akhtar will go down memory lane with Amrish Puri's achievements and remarkable contribution to Hindi cinema. "Amrish Puri will be remembered as a great actor. But people like me, who have known him personally, will remember him as a great actor and a great human being," said Javed Akhtar. "Amrish Puri was a mix of both. Noted filmmaker Steven Spielberg had once mentioned that he had seen many films in his lifetime, but he has never seen such a good villain," Javed Akhtar said while paying tribute to the actor. Whether as the homesick NRI in Aditya Chopra's Dilwale Dulhaniya Le Jayeng, the benevolent feudal landlord in Viraasat, Sunny Deol's terminally ill, idealistic father in Ghaatak or Amisha Patel's anti-India father in Gadar: Ek Prem Katha, Amrish Puri created a gallery of characters in his decades long journey in Bollywood. He was not only seen in Hindi films but also Kannada, Marathi, Hollywood, Punjabi, Malayalam, Telugu and Tamil. With over 400 films credited to his name, the "Mogambo" of Bollywood took his last breath on January 12, 2005. He was 72.